The Obama administration’s decision on the proposed Keystone XL tar sands pipeline is a choice about our climate future. Tar sands are one of the most carbon polluting sources of oil on the planet, and limiting tar sands expansion is critical to fighting dangerous levels of climate change. Climate scientists, energy experts, and even Wall Street and industry analysts agree that the oil industry’s plans to expand tar sands development are not possible without this pipeline. How much oil we use and how carbon-polluting that oil is will have a huge impact on our ability to mitigate devastating climate change. as our nation begins to suffer the impacts of climate change — superstorms, droughts, wildfires, and floods — Americans across all political and geographic divides are demanding climate action and the clean energy that will help our economy transition to a sustainable future. In his historic climate speech on June 25, 2013, President Obama affirmed that the Keystone XL decision could only be made responsibly in the context of the project’s carbon pollution. 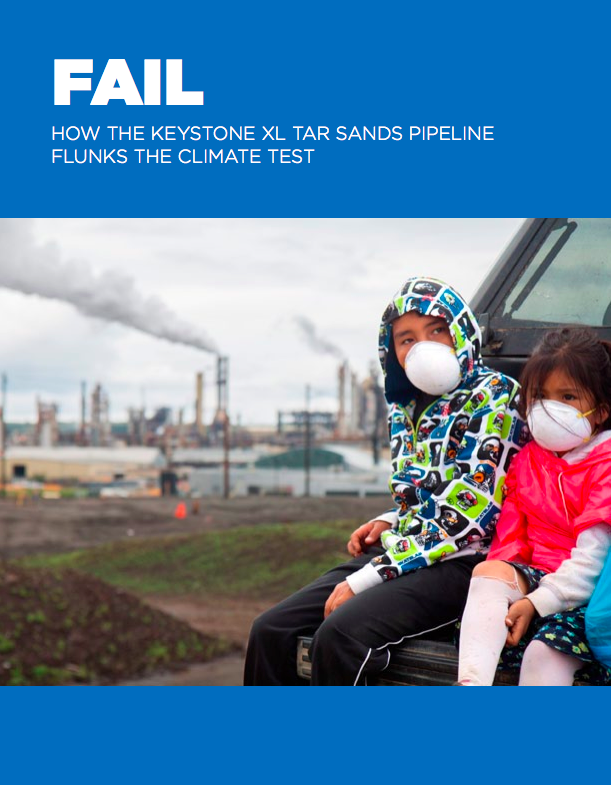 The answer to the climate test is unequivocal: Keystone XL is a climate disaster. As this report will illustrate, rejecting Keystone XL is one of the most important decisions President Obama can make to protect future generations from devastating climate change. I don’t care how much money that John Boehner, or any other energy-lobby bought-out politicians stand to make from Keystone. It is time to stop trashing our world for short-term profits, and to end industries’ long-time habits related to using non-renewable resources. Solar, wind, and other non-petroleum forms of energy that are more sustainable, and less damaging, are gaining ground around the globe. We need to focus our funds and resources to developing those, and to using all forms of energy more efficiently. Thank you for considering my position on this issue.